This article is a review of CLEOPATRA. The fiftieth anniversary restoration for one of the grandest films of all time. Not only do they not make ‘em like this any more, it seems they cannot make ‘em like this anymore: The sets, the extras, the costumes, the runtime (243 minutes) and the scale. The silver screen was created for this sort of rarely paralleled spectacle. The production problems have been well documented, and I’m not interested in dwelling on them here; suffice to say, it seems astonishing that something of this enormity could have made it out into the world. Opening on an aftermath, Julius Caesar (Rex Harrison) looks on dismayed at the carnage, having had to kill his fellow Romans in a civil war for dominance. Setting out its stall early, CLEOPATRA demonstrates in geography the consequences of what thousands at combat looks like. (Think the German melee introducing GLADIATOR.) Caesar’s friend and rival, Pompey, has fled the field, but for Caesar to secure his position he must capture him, which takes him to Egypt. The wealthy African nation is suffering its own turmoil. 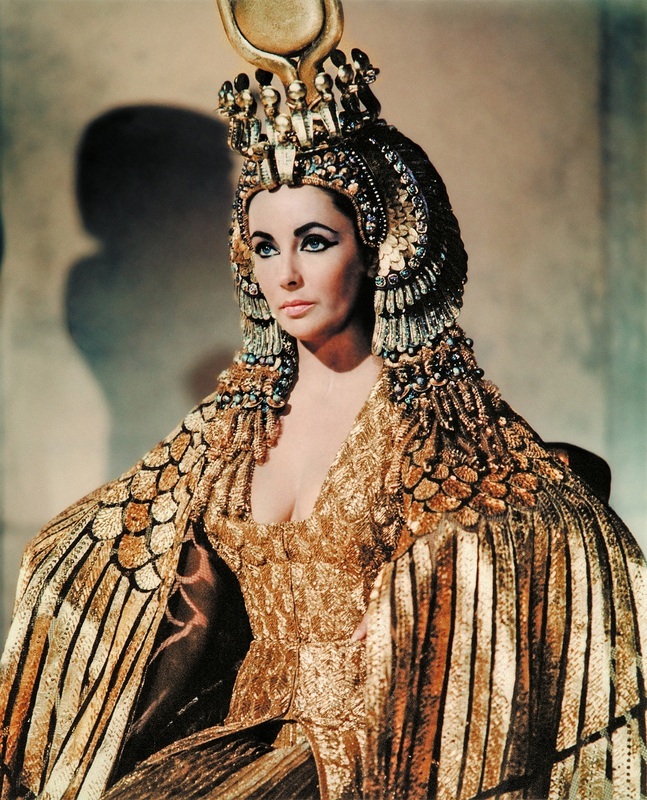 A brother, Ptolemy, and sister, Cleopatra (Elizabeth Taylor), holding the crown jointly are fighting for sole custody. The young Ptolemy makes the mistake of heeding an advisor and killing Pompey, believing it will win Caesar to his cause. The politicking of dynastic ambition is grappled with, spanning years. 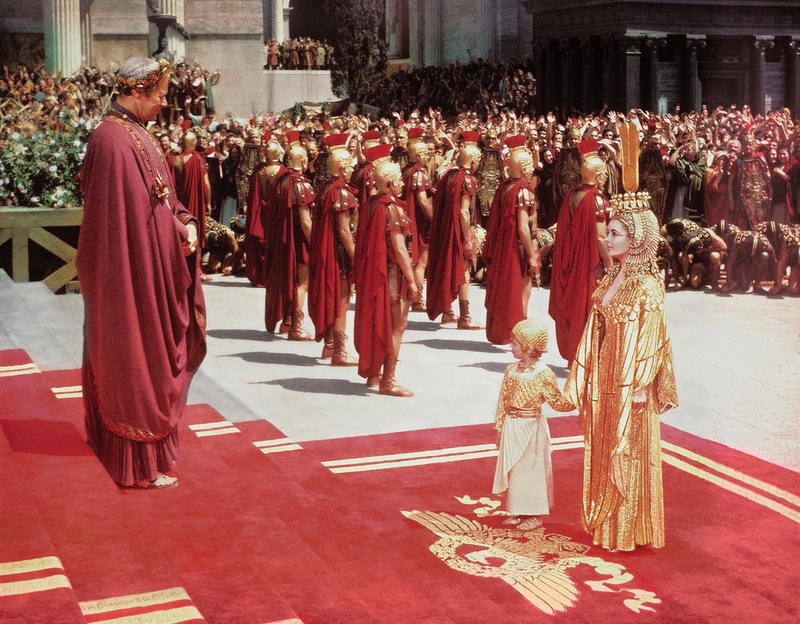 What took excellent television show ROME to meticulously chronicle over two series, CLEOPATRA attempts to do over four hours (six hours if you hold that there is an undiscovered six hour version). 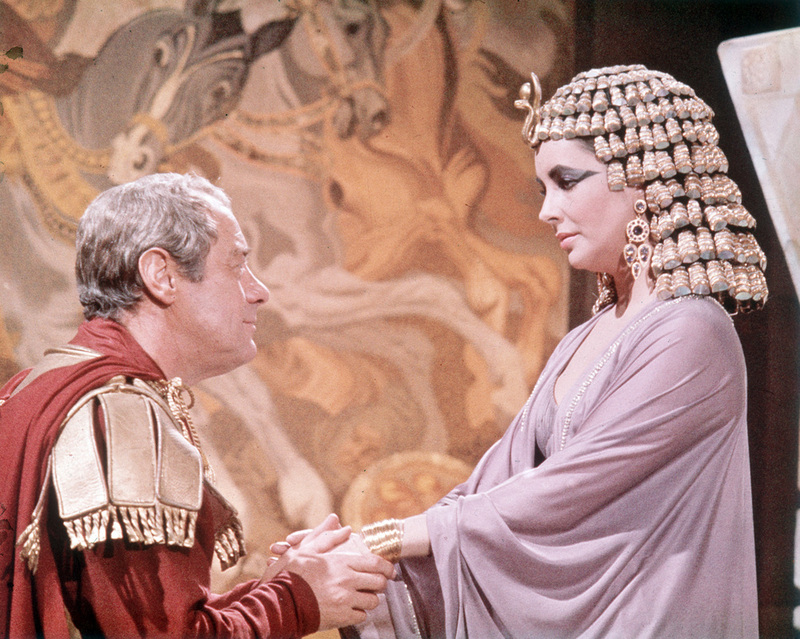 ROME was unafraid to portray the brutality in the game of thrones, CLEOPATRA chooses to imply (or rather has to, for 1963 mores). 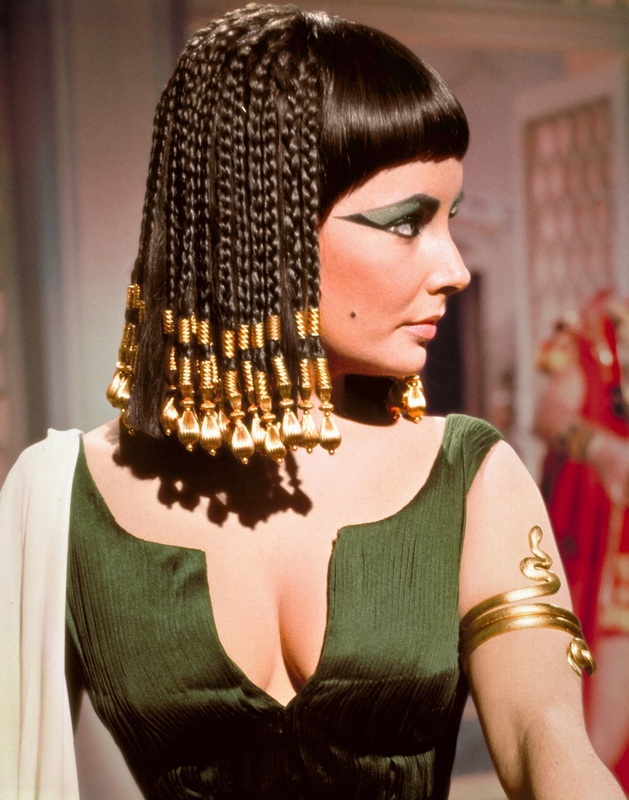 For all the pageantry and grandiose excess on the screen, CLEOPATRA is a tragedy-soaked tale of hubris. More importantly, the film examines a bright and driven woman, who wanted to take Alexander the Great’s dream of one world, one people and cement it in reality. It is ambition soaked in determination wrapped in motivation. 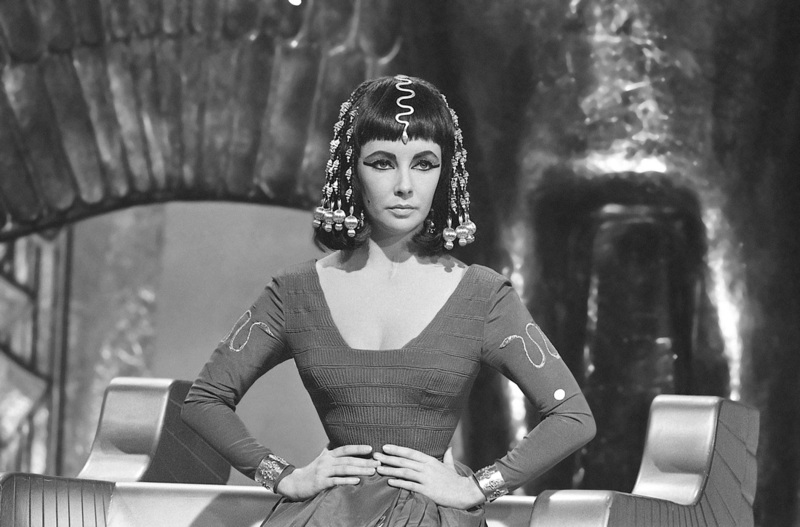 No matter your take on the morality of the decision-making, the charisma-ball searing herself onto the screen, Elizabeth Taylor, leaves you no choice but to follow in her wake. It is a performance playing to the rafters, and that is no criticism here. Her daring was/is perhaps lauded in men, though frowned on for a woman, and the movie questions whether anything has changed. The story is divided in two, for the powerful men beguiled and won over to her and her way of thinking. The epic experience is surprisingly emotional.